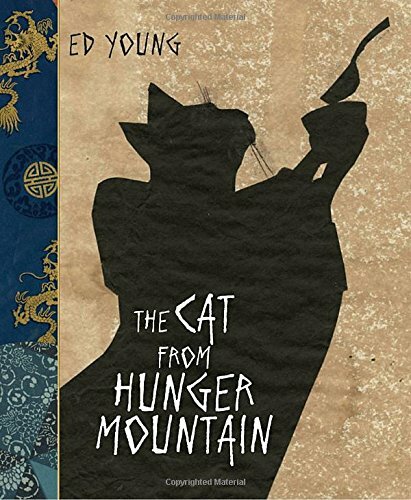 Summary: A greedy cat lives in a huge palace atop Hunger Mountain that looks out over fields famous for their delicious rice. But one year, drought strikes, and the harvest fails. All the cat’s servants leave in search of food. Finally, driven by starvation, the cat closes his palace and goes out into the countryside to find food for himself. He learns of a monk who is giving away rice, and joins the long line to get his own bowl filled. When he reaches the front of the line, he asks the monk where he got his food. The monk replies that he was fortunate to live at the base of Hunger Mountain. A rich lord washed so much of his cast-off rice down the stream, that the monk was able to collect more than he could ever use. The cat realizes he is being saved by the food he once threw away. For the first time ever, he feels truly blessed. 32 pages; ages 4-10. 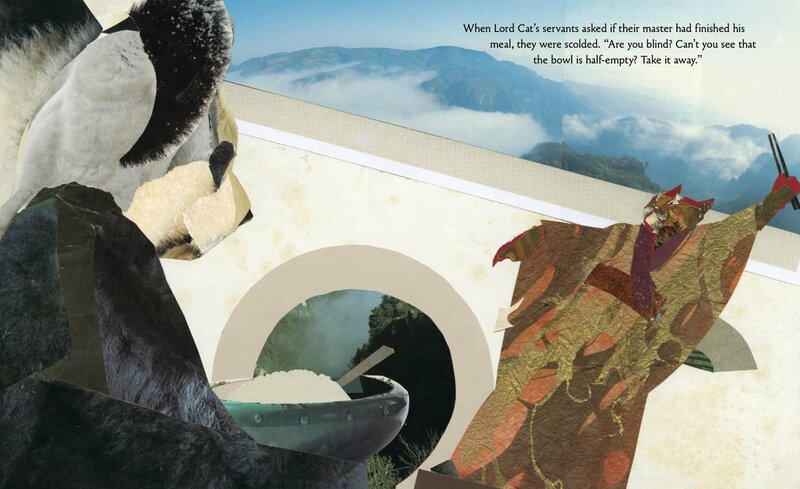 Pros: This simple but timely fable is strikingly illustrated with collages by Caldecott medalist Ed Young. The message is one that can be discussed with readers of all ages. Cons: I wondered if this is a completely original tale or a retelling, but there was no introduction or afterword about it.